Conway Stewart model 28 from the 1950s in excellent condition. Marbled burgundy/black with gold filled trim. 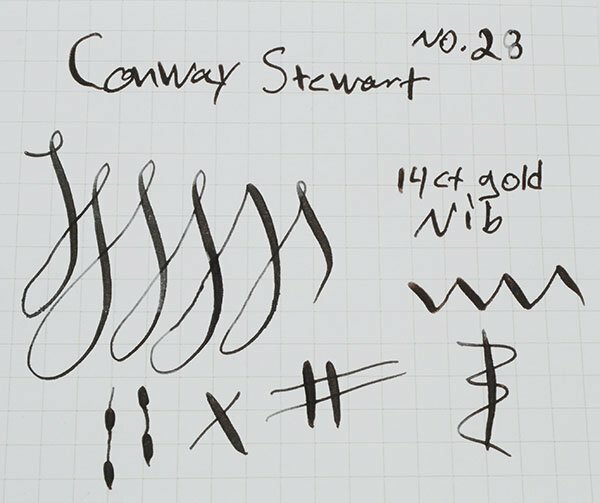 Fine flexible 14k nib. Restored lever filler and writing beautifully! Color Marbled Burgundy/Black is a marbled/crack ice pattern of pearlescent reds. The section and cap jewel are black. It has a narrow cap band and diamond clip. Gold filled trim. 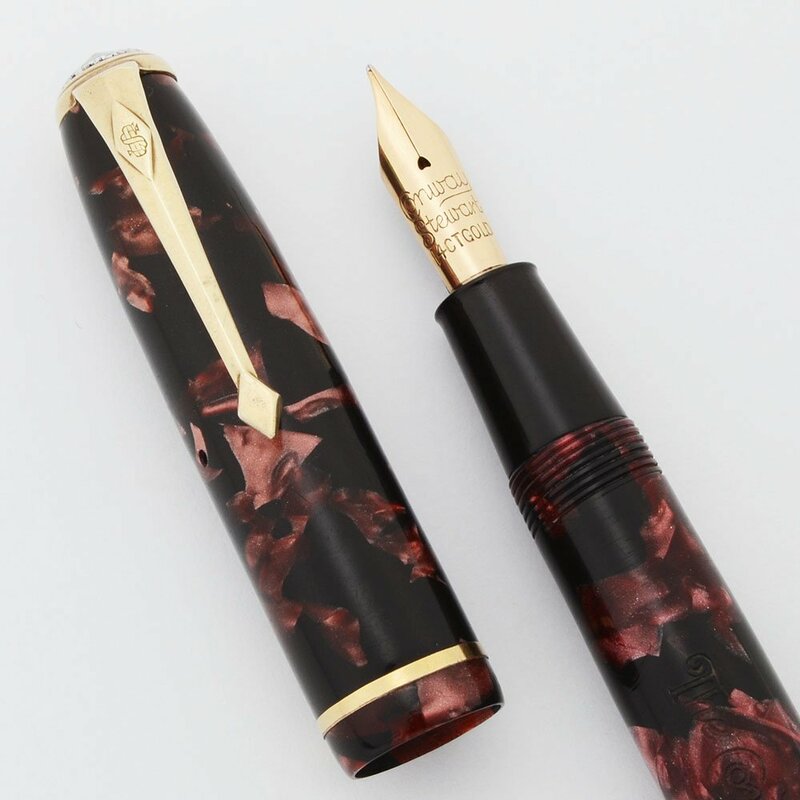 Nib Fine Flexible 14k nib. The tines spread easily but not particularly far. See the writing sample below. Condition Excellent condition. The imprints are very clear and the pen has no real scratches. The painting on the black jewel is partially worn off and the lever is brassed on the edges.